Weave Your Word in Me — Part 1 From Kid Niche Christian Books, Our Review | My Journeys Through Life . . . Herding Cats In New Mexico! ← Recovering . . .
My family was very blessed to be given the study book Weave Your Word in Me — Part 1. This is a very nice book, printed colorfully on quality paper (70#) and already hole punched so that we could put into a notebook right away. It even came with a colorful cover sheet, which we placed into the clear pocket on the front of the notebook. Weave Your Word in Me — Part 1 was sent to us for the purpose of this review, by the company Kid Niche Christian Books, which is devoted to helping you teach your children and grandchildren to pray the way that Jesus taught his disciples to pray, with their minds and their hearts. 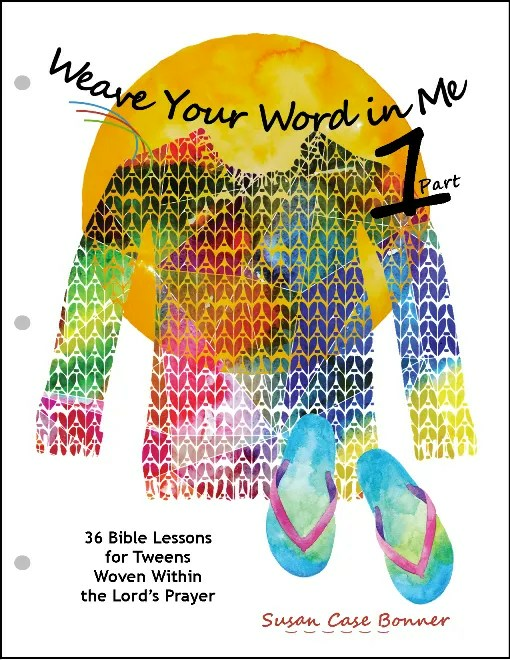 Weave Your Word in Me — Part 1 has 36 Bible lessons for tweens, woven within The Lord’s Prayer. There are 72 pages illustrated in color to keep your child’s interest. This book also includes an answer key for six different Bible versions, including the King James Version, which is the only Bible my family is willing to use. 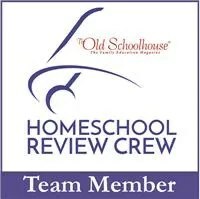 This study is great for grades 4 through 6, in Christian school, home school, or church. It can also be used for family study. 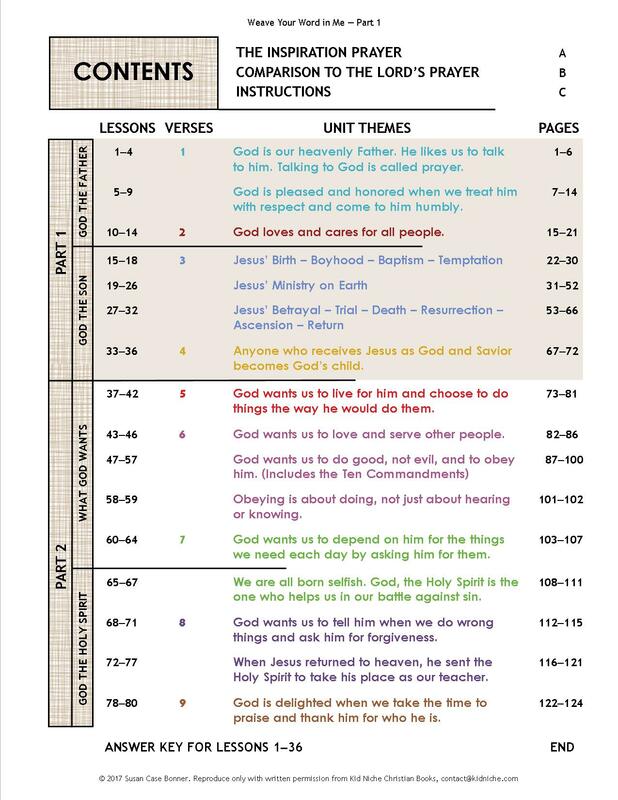 There are units on God The Father and on God The Son, along with prayer practice using a kid friendly re-wording of The Lord’s Prayer. Various methods of learning include: Cartoons, Charts, Definitions, Drama, Drawing, Fill in the Blanks, Illustrations, Matching, Multiple Choice, Sequence, T&F, so your child will not be bored while learning. How did we use Weave Your Word In Me — Part 1? Well, as you may have read in a previous post, I recently spent several weeks in the hospital, followed unexpectedly by a stay in a Rehab Facility. I had originally intended to use this curriculum with all four of my boys, having them take turns writing in the answers. What ACTUALLY happened though, is that one of my twins, “The Puzzler” appropriated it and began going through Weave Your Word In Me — Part 1 on his own. While I was in the hospital and the Rehab Facility! Here is “The Puzzler” studying away! He’s been going back and forth between using his printed Bible and his Bible which is on his tablet. Sometimes, he says it is easier to find the verses when using the Bible on his tablet. One reason I think it was easy for him to just pick up Weave Your Word In Me — Part 1 is that the lessons are relatively short, and the font is of a decent size for him to follow. As I said before, this is printed in color, so in the lessons there are nice, colorful pictures and sidebars to help with learning and understanding each lesson. The first thirteen lessons are just one page, and beginning with lesson fourteen, they increase to two pages. Sometimes, the student is asked to draw a picture of what the scripture reference is about, but most of the time, the student is simply asked to look up the scripture in his or her Bible and use what they looked up to fill in the blanks in the lesson. All in all, I’m pleased with this curriculum, if for no reason than the fact that it captured “The Puzzler’s” interest enough that he wanted to go ahead and do it on his own, without being told to! To read 63 other fair and honest reviews from my fellow crew members, please click on the banner below.